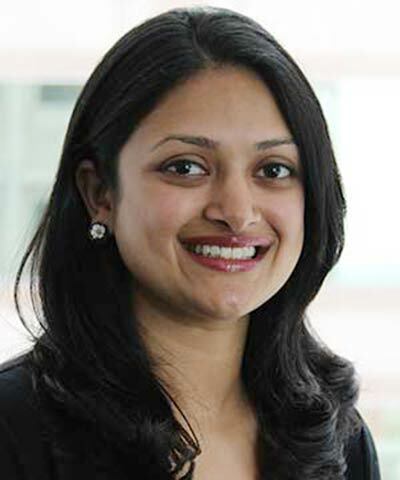 Aditi Mohapatra leads BSR’s information and communications technology practice for companies headquartered in North America. Her role includes working with companies in the telecommunications, consumer electronics, equipment manufacturing, internet, and software industries to improve the sustainability of their operations and products. To do this, Mohapatra focuses on issues such as human rights, supply chain, climate change, and sustainable product design. Mohapatra joined BSR in 2012 after several years at Calvert Investment Management, a leading sustainable and responsible investment firm. There, she led research and analysis on the information and communications technology sector, and spearheaded corporate engagements on the subjects of gender equality and corporate governance.